I created this app with three different languages; English, Myanmarand Chinese so that anyone can learn English easily. Also therewill be new features concerning English Speaking. This app hasimproved for those who has got long or short-sightness i.e., thefont size can be variable.When the new version has released, it'llgive you notification to download new version. Very small memoryspace has taken and so your phone will left many memory space. Noone could ever be replaced with any different languages using AppDisassembler softwares.More effective English skills will beavailable in the next update. This Free translator can quickly translate from Korean toVietnamese and Vietnamese to Korean (한국어 - 베트남어 번역기, Việt-Hàn QuốcNgười phiên dịch) words as well as complete sentences. Instanttranslation and the full validity of the words. - This App will bevery useful to people studying a foreign language (travelers,students and everyone who raise their level of language) - Itsinterface is very simple and easy to use - Due to the favoriteslist and the history you can look through the translatedinformation offline Software features: - Translation of words andphrases. - Voice input - Favorites - History - Interface settings. This free app is able to translate words and text from Turkish toEnglish, and from English to Turkish. Best app for easy and fasttranslations, which can be used like a dictionary. If you are astudent, tourist or traveler , it will helps you to learn thelanguage! This translator contains the following features: -Translate words and sentences - Translate from clipboard - Simpleand user-friendly interface - Instant search - Instant startİngilizce ve İngilizce, Türk, Türk ücretsiz çevirmen. Freetranslator from Turkish to English, and from English to Turkish. This Free translator can quickly translate from Korean to Englishand English to Korean (한국어 - 영어 번역기) words as well as completesentences. Instant translation and the full validity of the words.- This App will be very useful to people studying a foreignlanguage (travelers, students and everyone who raise their level oflanguage) - Its interface is very simple and easy to use - Due tothe favorites list and the history you can look through thetranslated information offline Software features: - Translation ofwords and phrases. - Voice input - Favorites - History - Interfacesettings. Translate All Language by combo translator - translatesimultaneously with Google Translate, Microsoft Translator, YandexTranslate, Glosbe Translate, NAVER translate. Enter your text andget the translations from all translators at the same time.FEATURES: • Translate words and phrases with high accuracy. • TextTo Speech support. • The application saves translations. • SpeechRecognition support, Translate spoken text. • Easy to store andmanage your favorite items • Pretty UI, simple anduser-friendly,support multi language • Huge amount of audio content• Remind learn words and phrases - English Translate - KoreanTranslate - French Translate - Chinese Translate - JapaneseTranslate - .......... - Translations between the followinglanguages are supported: Afrikaans, Albanian, Arabic, Armenian,Azerbaijani, Basque, Belarusian, Bengali, Bosnian, Bulgarian,Catalan, Cebuano, Chichewa, Chinese (Simplified), Chinese(Traditional), Croatian, Czech, Danish, Dutch, English, Esperanto,Estonian, Filipino, Finnish, French, Galician, Georgian, German,Greek, Gujarati, Haitian Creole, Hausa, Hebrew, Hindi, Hmong,Hungarian, Icelandic, Igbo, Indonesian, Irish, Italian, Japanese,Javanese, Kannada, Kazakh, Khmer, Korean, Lao, Latin, Latvian,Lithuanian, Macedonian, Malagasy, Malay, Malayalam, Maltese, Maori,Marathi, Mongolian, Myanmar (Burmese), Nepali, Norwegian, Persian,Polish, Portuguese, Punjabi, Romanian, Russian, Serbian, Sesotho,Sinhala, Slovak, Slovenian, Somali, Spanish, Sundanese, Swahili,Swedish, Tajik, Tamil, Telugu, Thai, Turkish, Ukrainian, Urdu,Uzbek, Vietnamese, Welsh, Yiddish, Yoruba, Zulu * Easy to use, easyto understand, easy to practice! * This app requires internetconnection. Developed by Awabe. 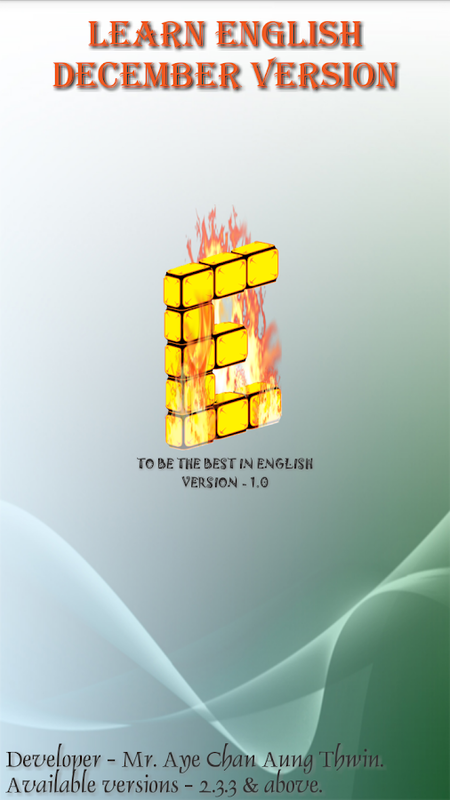 Easily translate text, words and sentences from Portuguese toEnglish and from English to Portuguese language. This app could beused for word meanings and as a dictionary too. Portuguese EnglishTranslator has these features: - English Portuguese Translator -Portuguese English Translator - Hear translated text in English orPortuguese - Can be used as a Dictionary. - Offline access fortranslated words, text and sentences. - Social Media - Easily sharewith Friends and Family. - Easy to use for Translator . BonusFeature – Learn and Master the pronunciation as English PortugueseTranslator has in built audio feature. Hear the translated text andconveniently communicate with your friends, girlfriends,boyfriends, family members or tourists. If you are a Traveler orStudent or language enthusiast then this app is a must have foryou. For Students – you can now complete your language homework andassignments easily. For Traveler - if you are traveling fromPortuguese speaking nation or country to English Speaking nation orcountry, or from English Speaking country to Portuguese Speakingcountry then this app is your best companion. Now you can learnPortuguese or English language at your convenience, while driving,playing games, in class, while on travel, while commuting to work,with friends, etc. We have Portuguese translator for otherlanguages too, for e.g. German, Russian, Arabic, English, and manymore. Drop us an email if you are interested.